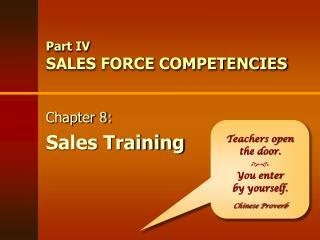 Part IV SALES FORCE COMPETENCIES. Teachers open the door.  You enter by yourself. 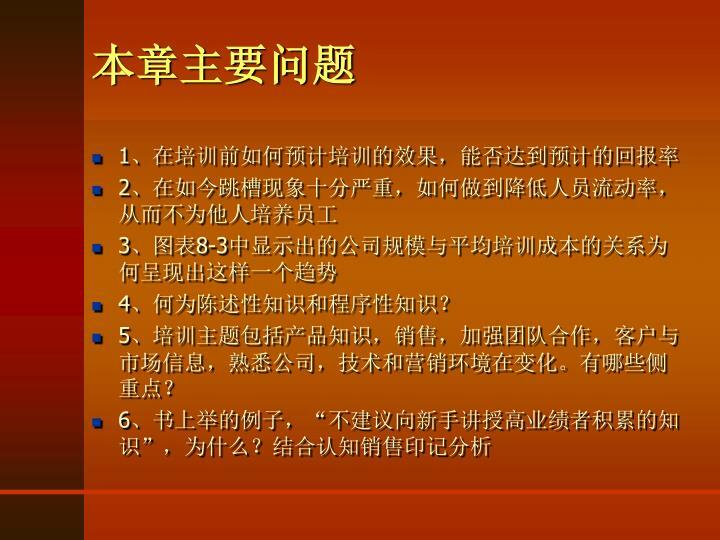 Chinese Proverb. Chapter 8: Sales Training. 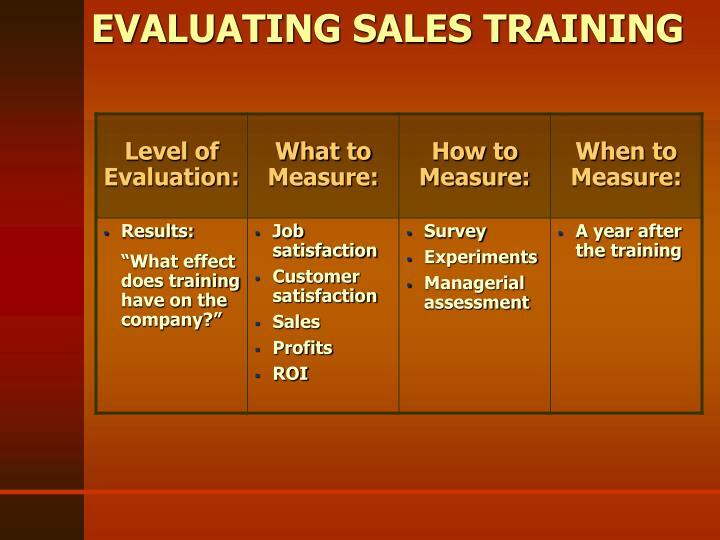 SALES TRAINING PROCESS. 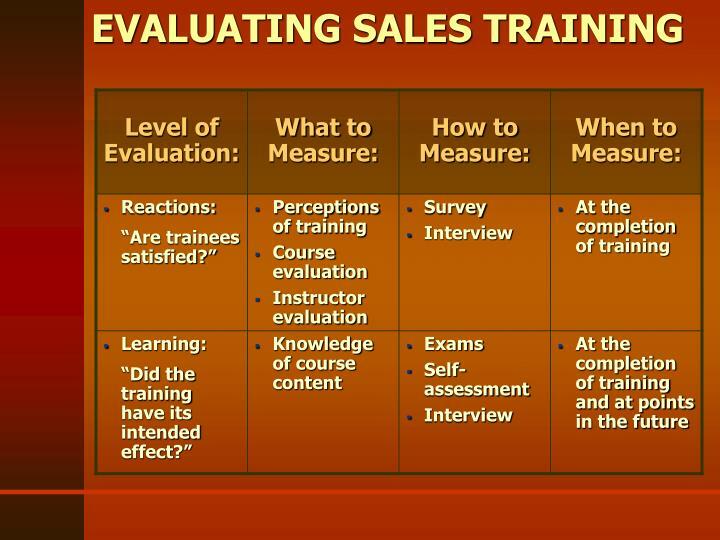 Assess	Setting	Setting Training	Objectives	Budget Needs. 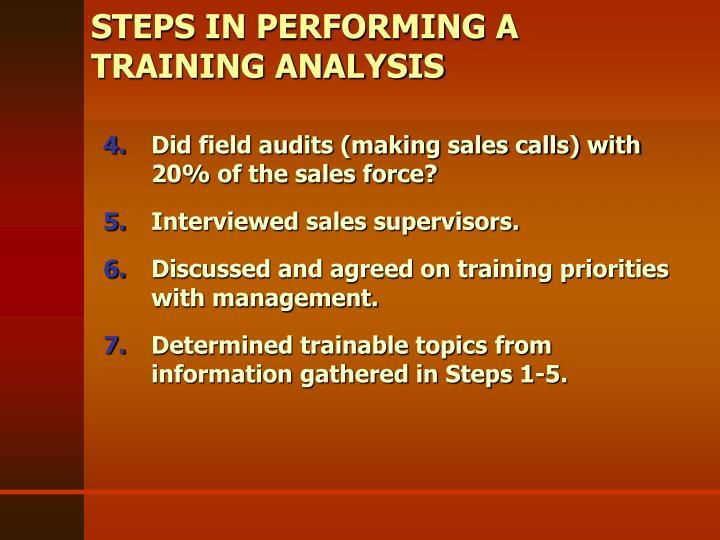 Planning for Sales Training. 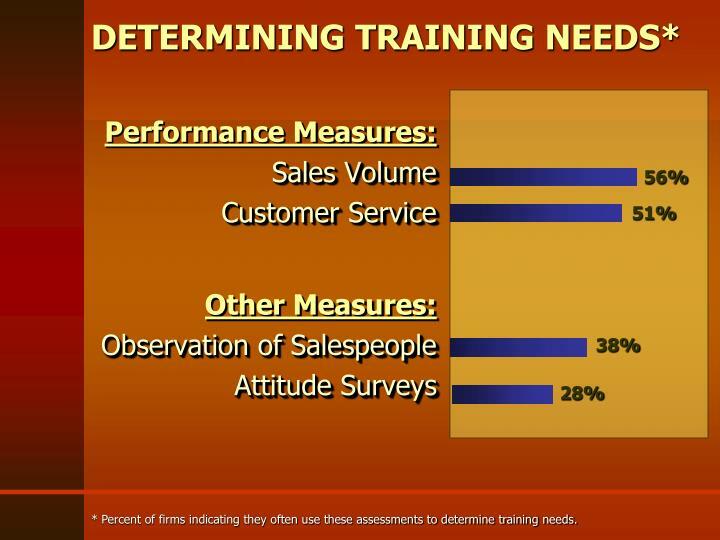 * Percent of firms indicating they often use these assessments to determine training needs. 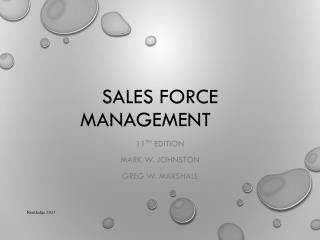 Interviewed key members or management to find out what changes are needed in performance of the sales force. 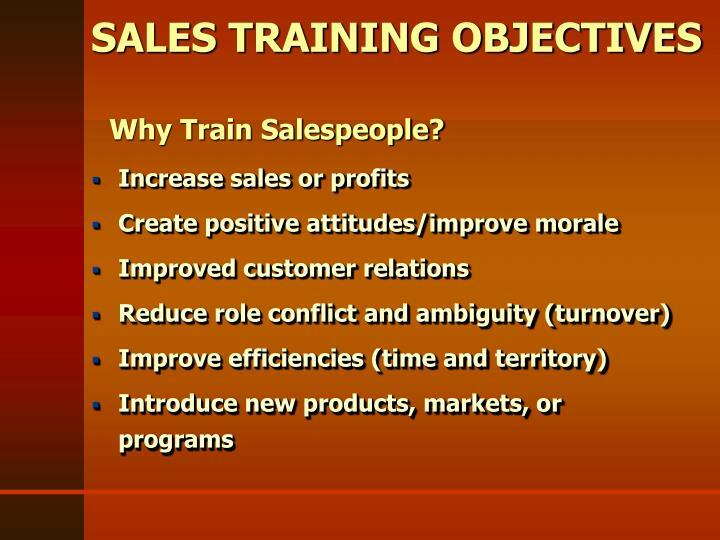 What do you expect of a salesperson in this industry? 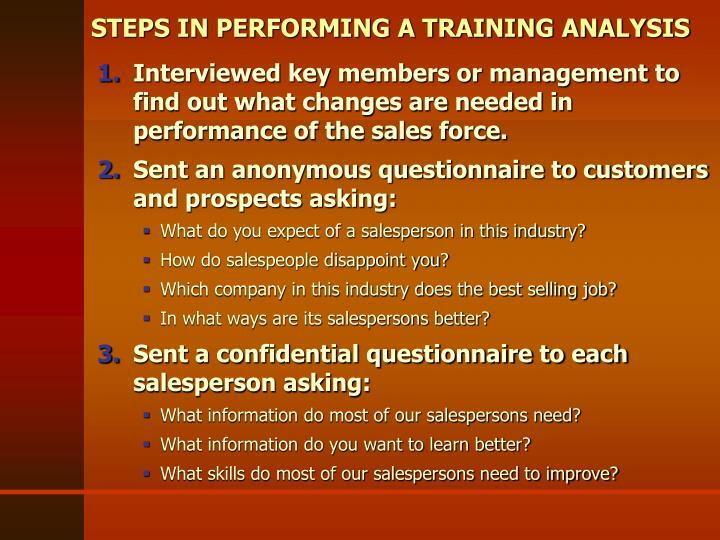 How do salespeople disappoint you? Which company in this industry does the best selling job? 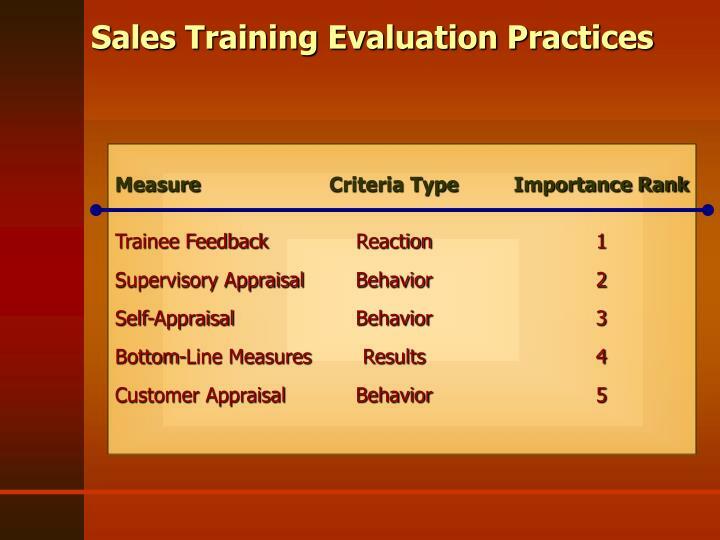 In what ways are its salespersons better? 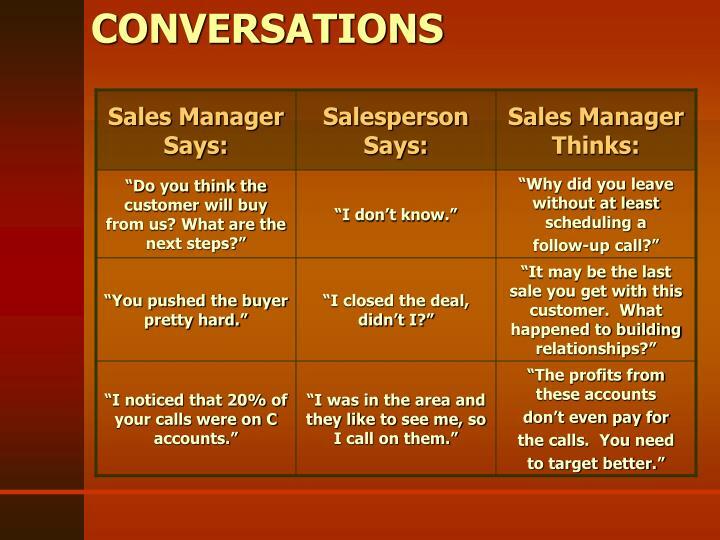 What information do most of our salespersons need? 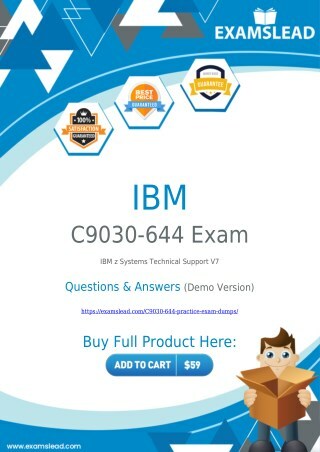 What information do you want to learn better? 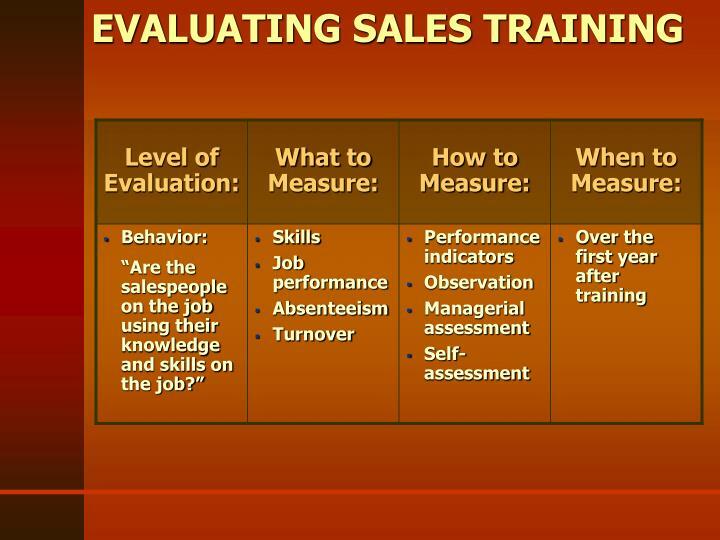 What skills do most of our salespersons need to improve? 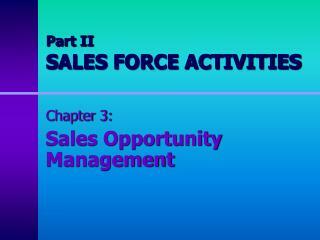 Did field audits (making sales calls) with 20% of the sales force? Discussed and agreed on training priorities with management. 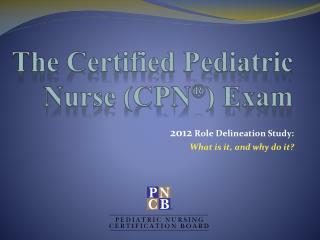 Determined trainable topics from information gathered in Steps 1-5. 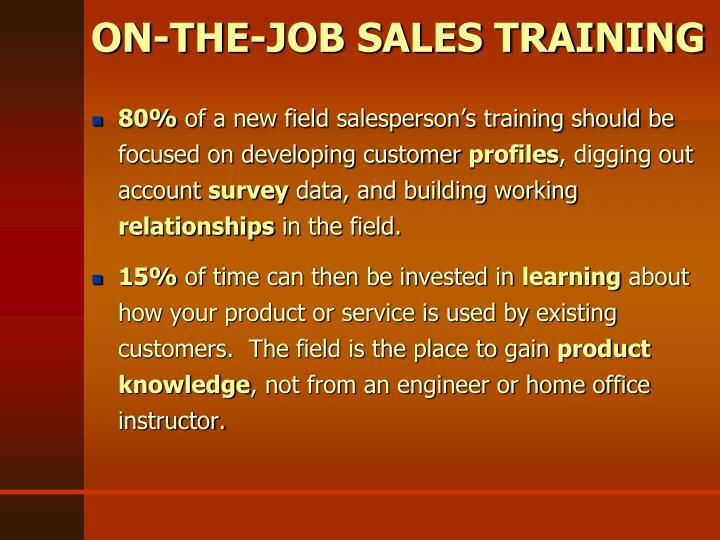 80% of a new field salesperson’s training should be focused on developing customer profiles, digging out account survey data, and building working relationships in the field. 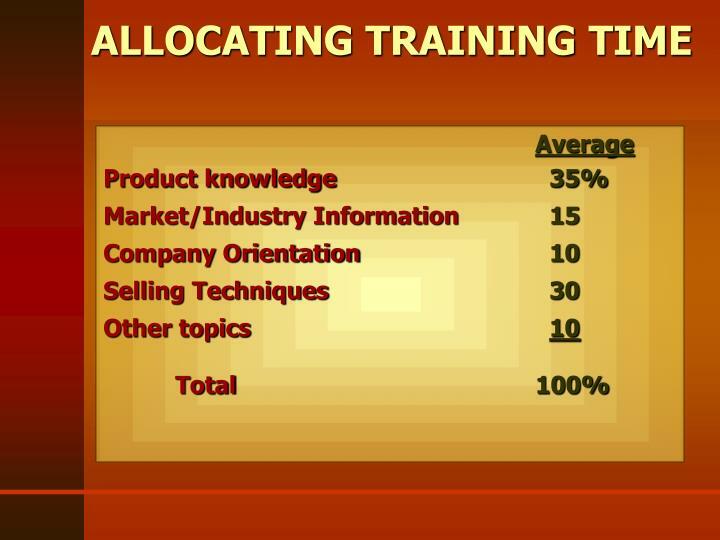 15% of time can then be invested in learning about how your product or service is used by existing customers. 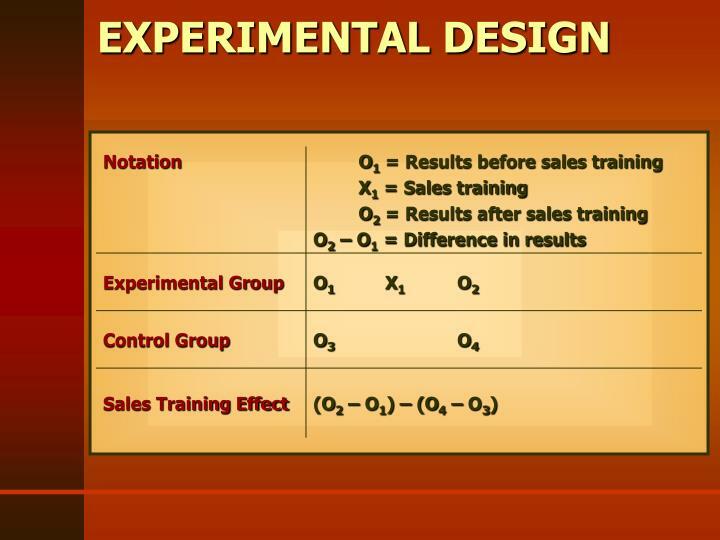 The field is the place to gain productknowledge, not from an engineer or home office instructor. 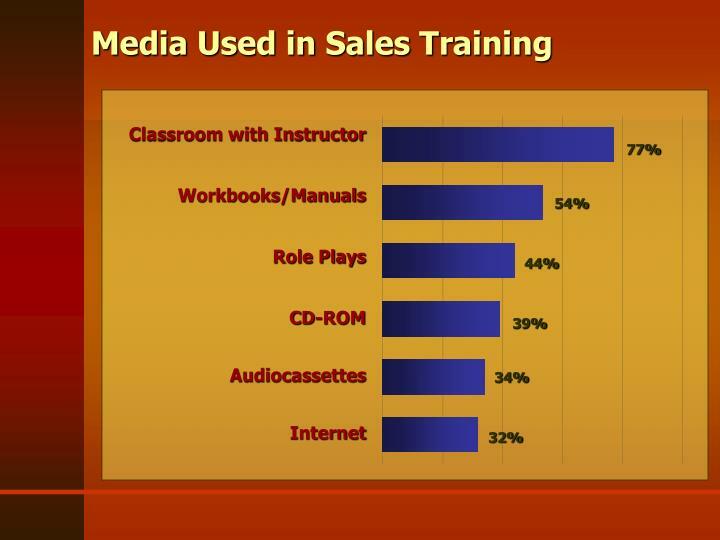 Only 5% of a new field salesperson’s time, then, should be spent on developing selling skills. asking for real opportunities to do business. 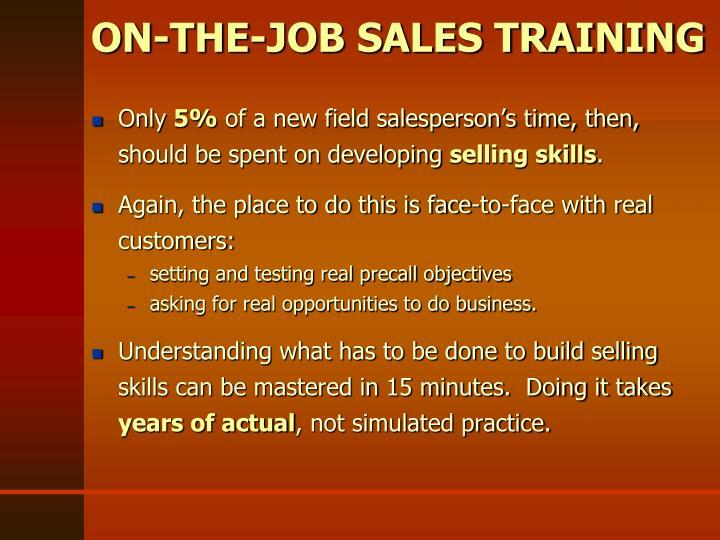 Understanding what has to be done to build selling skills can be mastered in 15 minutes. Doing it takes years of actual, not simulated practice. 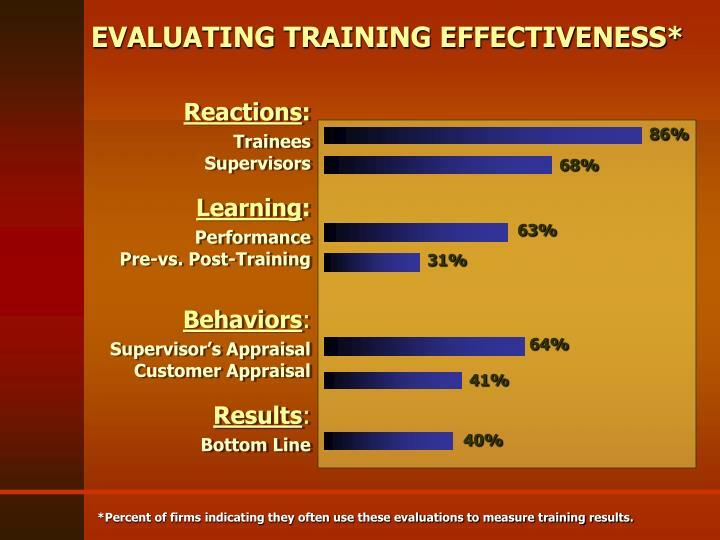 *Percent of firms indicating they often use these evaluations to measure training results. 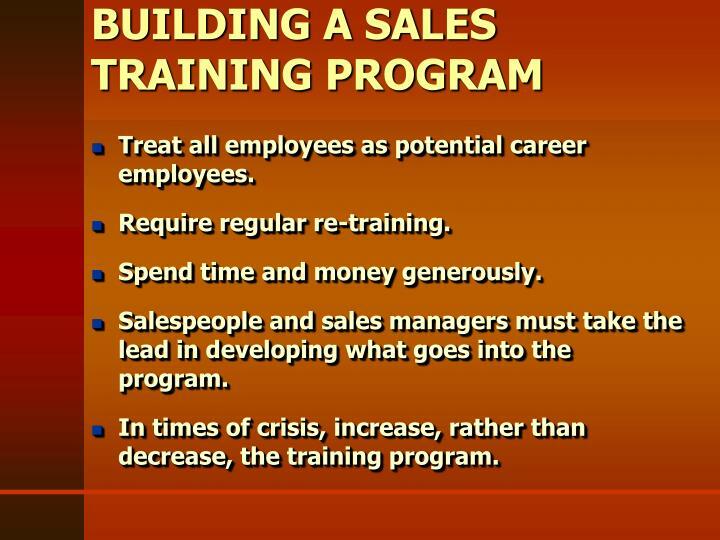 Treat all employees as potential career employees. Spend time and money generously. 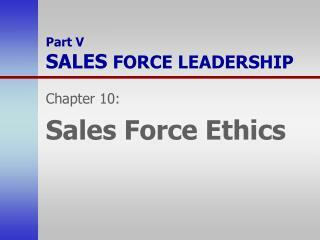 Salespeople and sales managers must take the lead in developing what goes into the program. 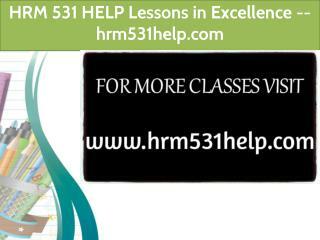 In times of crisis, increase, rather than decrease, the training program. You just came on as vice president of sales for General Industries, overseeing 150 salespeople and 10 sales managers. 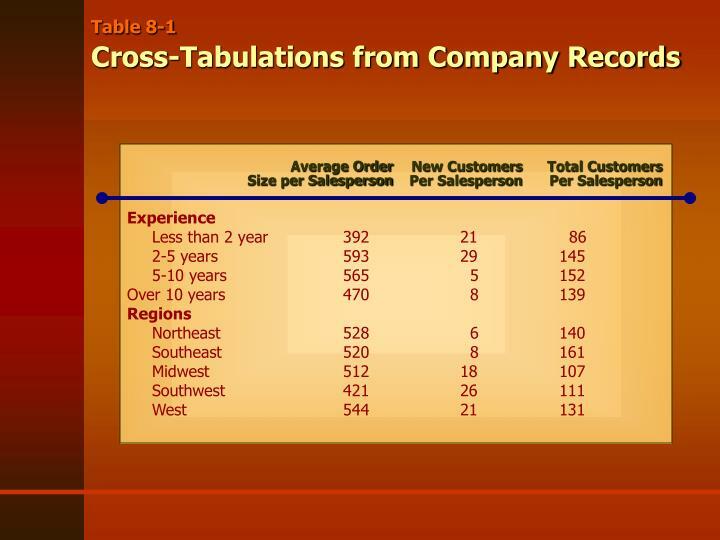 General's sales were solid, but profit margins were abysmal. General's president charged you with fixing the situation. 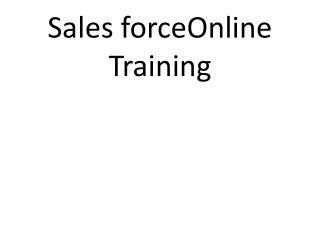 During your first few months on the job, you spend much of his time on the road with your salespeople visiting customers. 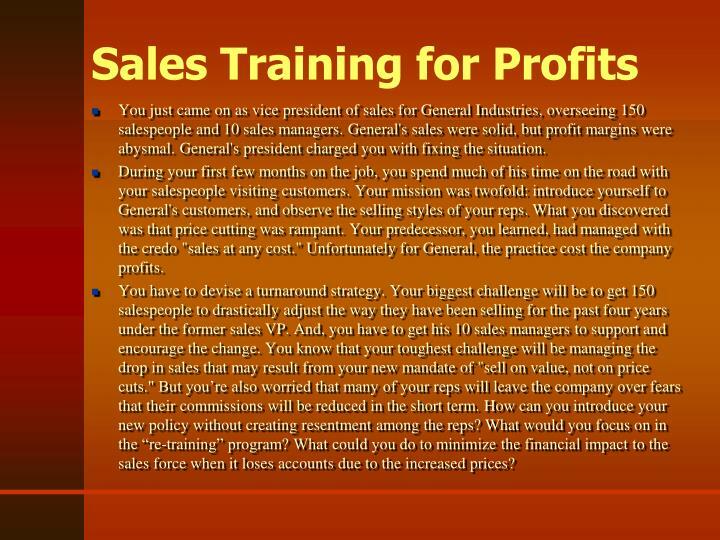 Your mission was twofold: introduce yourself to General's customers, and observe the selling styles of your reps. What you discovered was that price cutting was rampant. 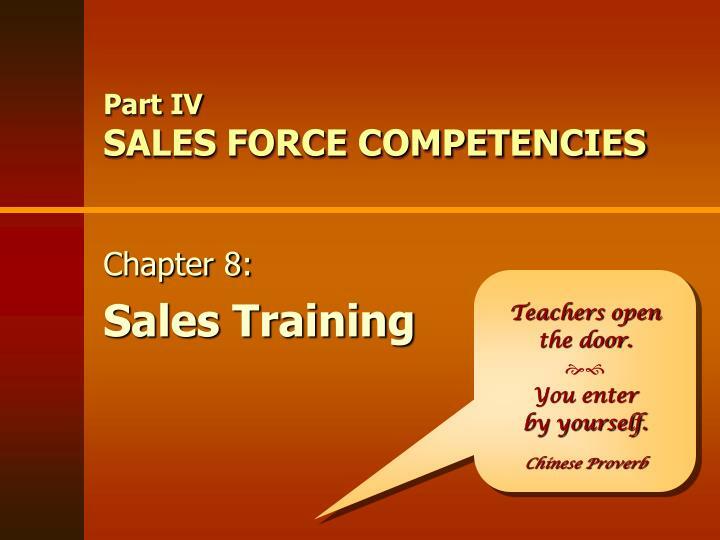 Your predecessor, you learned, had managed with the credo "sales at any cost." Unfortunately for General, the practice cost the company profits. You have to devise a turnaround strategy. 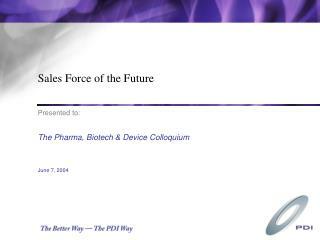 Your biggest challenge will be to get 150 salespeople to drastically adjust the way they have been selling for the past four years under the former sales VP. And, you have to get his 10 sales managers to support and encourage the change. 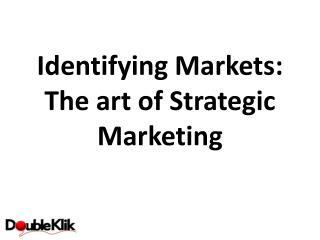 You know that your toughest challenge will be managing the drop in sales that may result from your new mandate of "sell on value, not on price cuts." But you’re also worried that many of your reps will leave the company over fears that their commissions will be reduced in the short term. How can you introduce your new policy without creating resentment among the reps? What would you focus on in the “re-training” program? 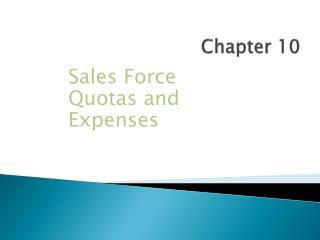 What could you do to minimize the financial impact to the sales force when it loses accounts due to the increased prices? 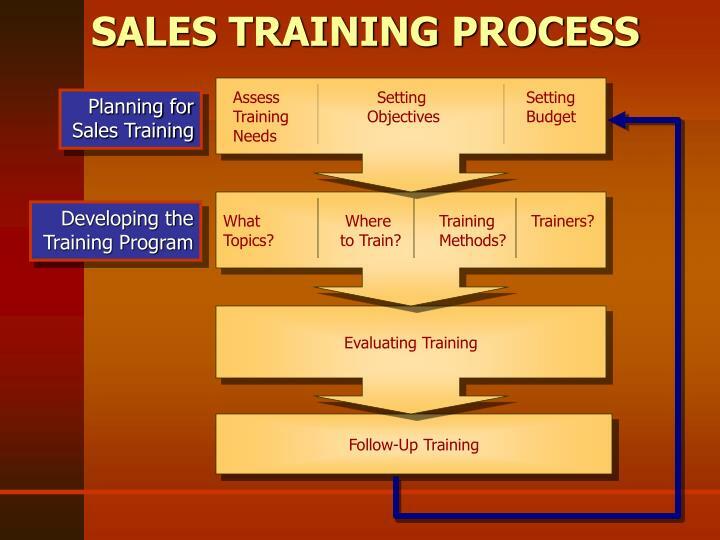 Getting a salesperson to buy into a sale training program is difficult. 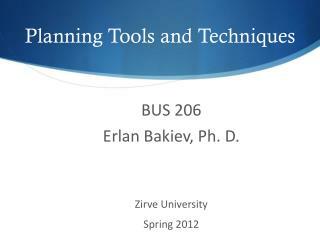 In fact, it is not unusual to have a training session be met with many grumbles and few attendees. 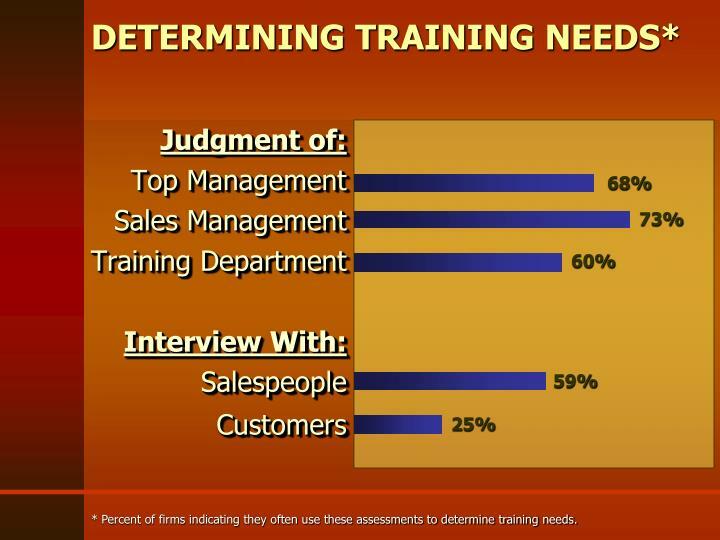 A recent survey indicates that 44 percent of salespeople were only "somewhat enthusiastic" about training programs, and 6 percent said training as a waste of time. 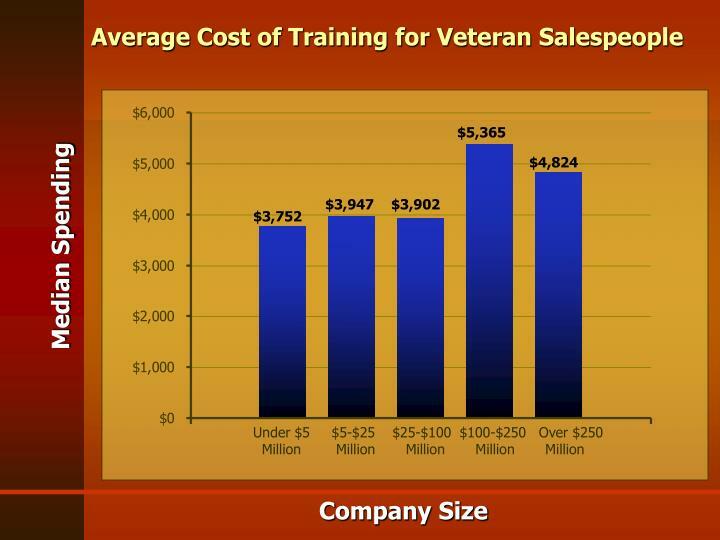 A general trend found in this data is that veteran salespeople typically believe that sales training is a waste of time. 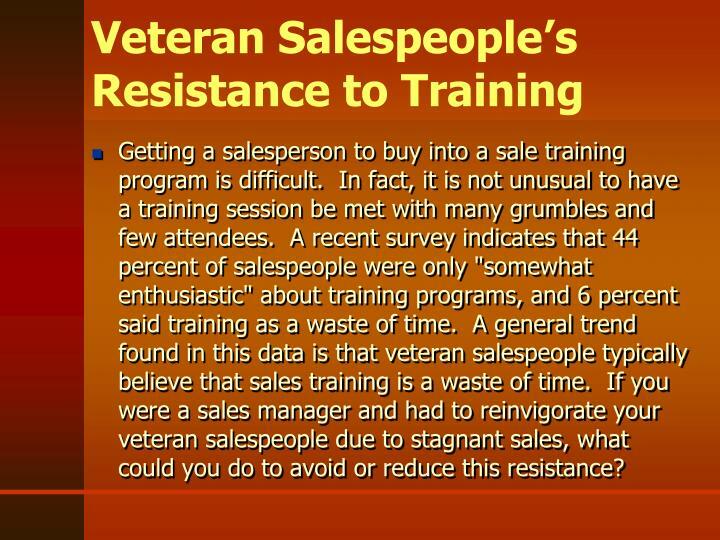 If you were a sales manager and had to reinvigorate your veteran salespeople due to stagnant sales, what could you do to avoid or reduce this resistance? 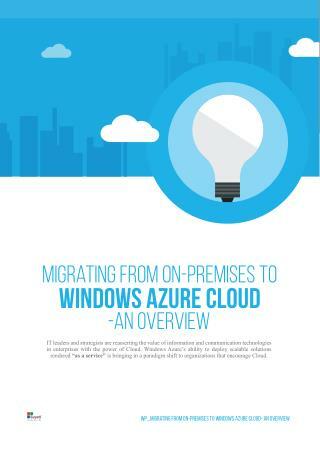 MAKING INDUSTRY LEVEL SOFTWARES -. whoami. andrás boráros-bakucz program manager, ericsson hungary boraros-bakucz.andras@kvk.uni-obuda.hu phone: +3630 343 9136 presentation format is intentional. trial and error copy-pasting. 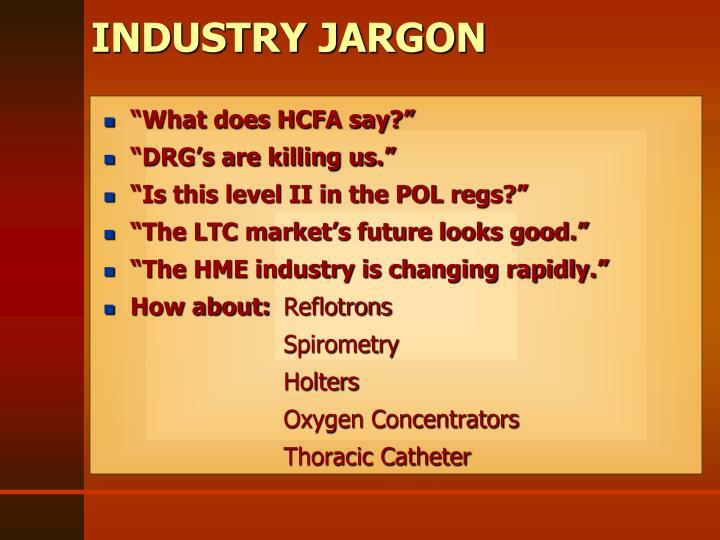 Associated Technologies (Pvt.) 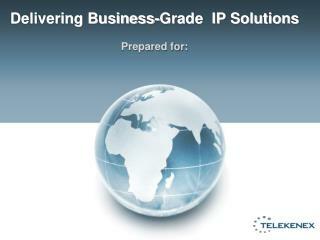 Ltd An Infrastructure Development & Manufacturing Company -Associated technologies (pvt.) ltd an infrastructure development &amp; manufacturing company. 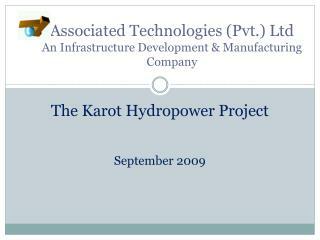 the karot hydropower project september 2009. 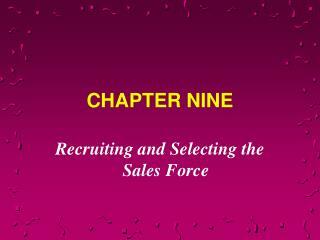 CHAPTER NINE -. 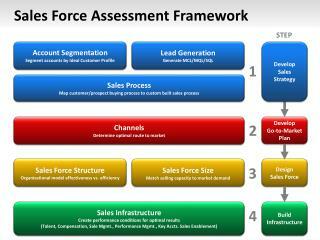 recruiting and selecting the sales force. 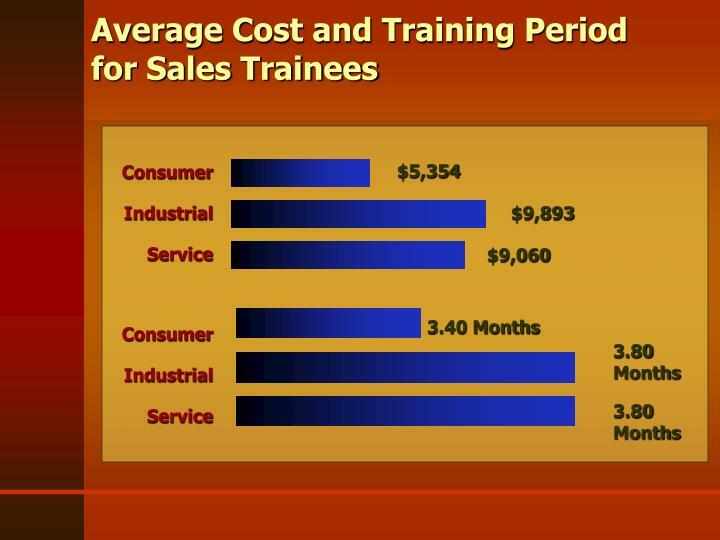 importance of a good selection program. 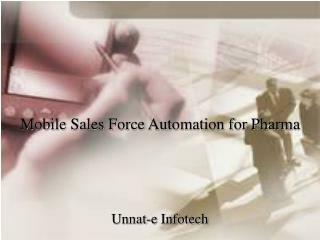 improves sales force performance promotes cost savings eases other managerial tasks sales managers are no better than their sales forces.